Making the Olympics is one thing, but being one of the top 3 athletes in the world and to be able to go on that medal stand is an entirely different experience. One victor's spoils is available here. 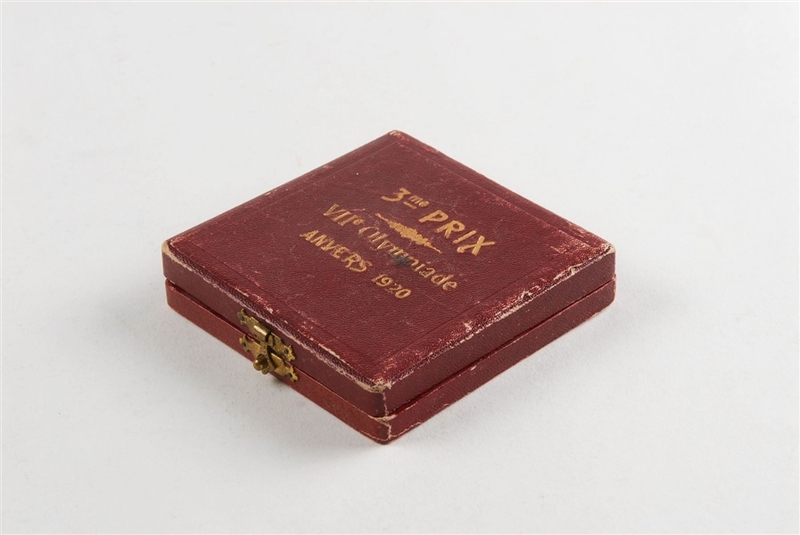 The medal measures sixty millimeters (60mm.) 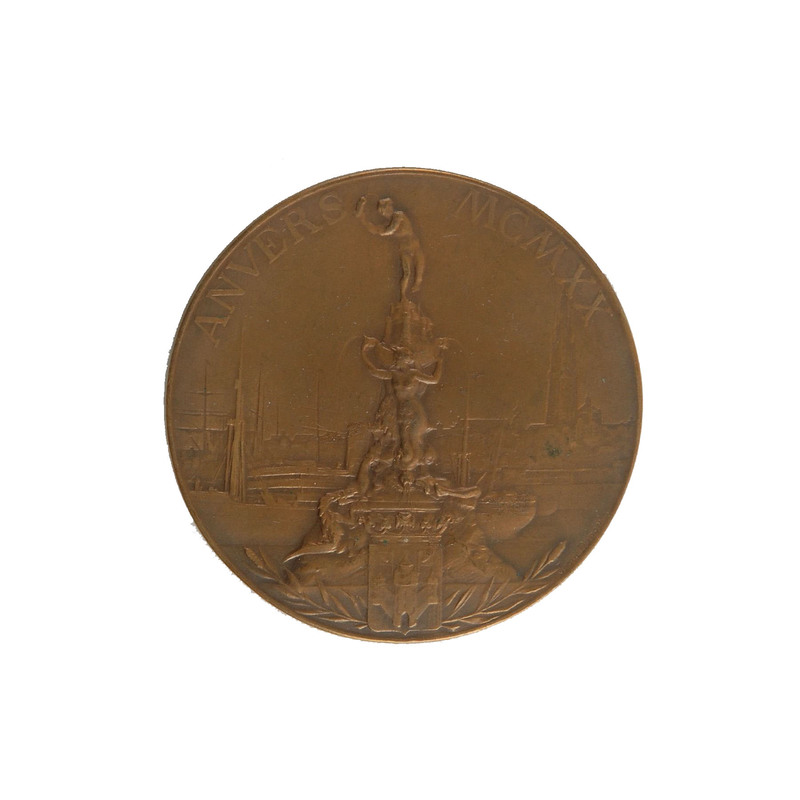 in diameter and includes Josue Dupon's design.The front shows a victorious athlete holding a laurel wreath and palm branch, with a statue of Renommee in the background, inscribed "VII Olympiade"; the reverse depicts the Brabo fountain above the Antwerp shield, with the Cathedral of Our Lady and city looming in the background, inscribed above, "Anvers MCMXX." Complete with its exceedingly rare red leather case,The original case attends on this EX/MT (slight tarnishing to medal) offering. Weighs eighty grams (80g.). 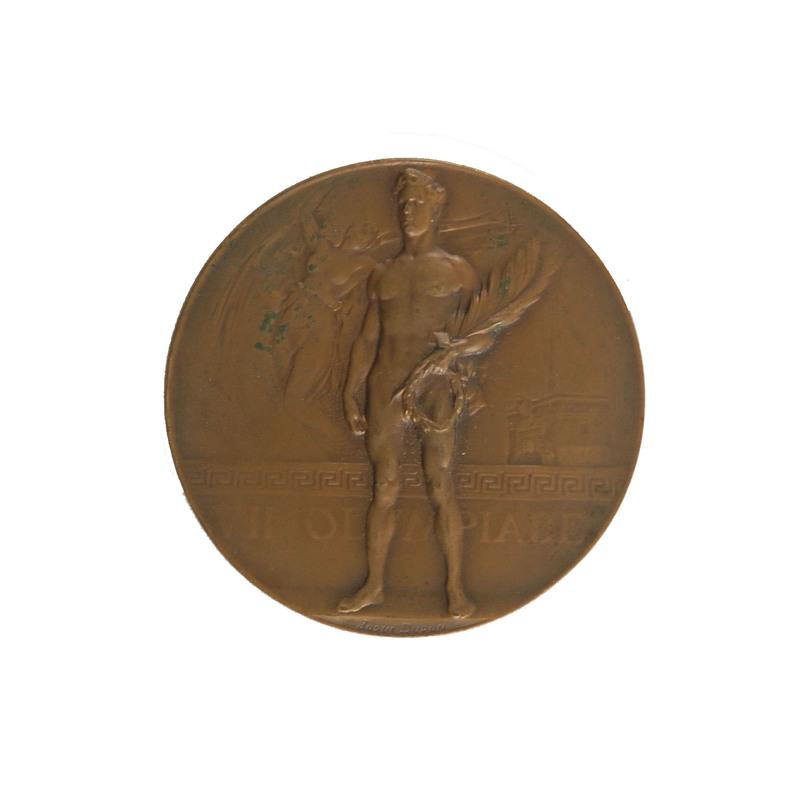 A total of 29 nations attended the VII Olympiad in Antwerp, Belgium, with Hungary, Germany, Austria, Bulgaria, and the Ottoman Empire all banned from competing due to their involvement in World War I and the cancelation of the 1916 Summer Games. In spite of such political unrest, the return of the Games debuted a trinity of enduring Olympic traditions-the voicing of the Olympic Oath, the symbolic release of doves, and the initial flying of the Olympic flag. An exceptional third place medal of the utmost historical interest and rarity. Winner's medals from the 1920 Games are hardly—if ever—offered with their original presentation cases.